In a service industry? Inevitably, your work is going to take you into the client's home -- even if you just need them to sign the bill. So, do you take off your dirty work boots and walk around in your socks like a member of the family? No, because that's unprofessional. The answer is to just slip into Shoe-In shoe covers, then take them right off again. It's never been easier to avoid tracking dirt all through the house. Shoe-In overshoes are available in open toe and closed toe designs, even safety toe designs that provide protection for your feet. 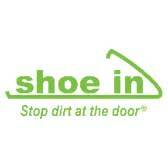 Shoe-Ins are made in unisex sizes and are designed to fit right over most work boots and shoes. These smart overshoes that will please the customers you work for. Wear these, and you're a "Shoe In" to get a compliment from your boss. Glad to see that my return was received. I have already received my replacement boots. Thank you all very much for your hard work, speedy replies and great customer service.